Benjamin turned three months old this week. Then he caught his first cold. 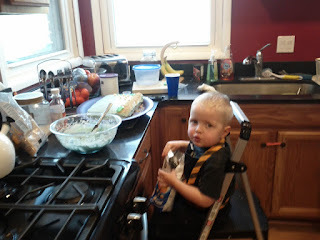 I guess that is his first move toward independence. Eloise has finally settled on a nickname for her brother. One day last week, he sneezed, so she piped up with, "Bless you, B!" Now we call him B. Aunt Cheyenne says that reducing his name to one letter gives him street cred. I'm afraid it evokes more of a furry, buzzing insect in my mind. I was digging through a box of my things from high school this afternoon, looking for something to help me with a presentation that I am giving to the girls in my church group this week, when I stumbled upon this little gem. It's a picture of Benjamin in pink! 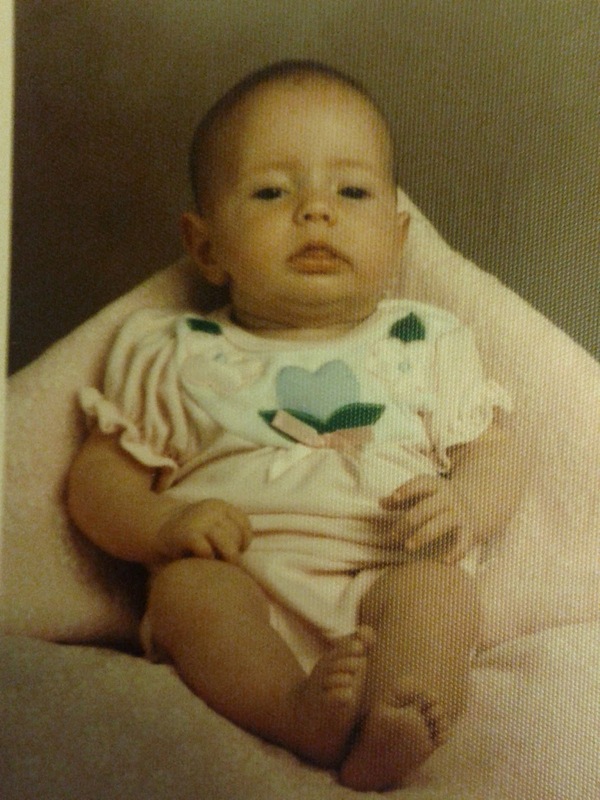 Just kidding, It is me at three or four months old. The similarities are pretty striking, though. Benjamin might be a little bit fatter than I was, but look at our eyebrows, our noses, our mouths. . .
For comparison purposes, here is the parent Baby B doesn't take after, around the same age. Okay, maybe B looks a little tiny bit like his daddy. A very tiny bit. Sometimes it is hard for me to remember that Eloise is not quite two years old. Today we got in the car after a morning running errands, and Eloise requested that we listen to "I Often Go Walking" when we turned the car on. Since this is the only song she ever wants to hear in the car, and she always wants to hear it over and over and over again, Jared immediately objected. "Okay. How 'bout listen to primary songs, then?" Eloise suggested. Is anyone else's toddler/teenager in charge of the car radio? The kids control of the radio from the back seat has been kind of a problem lately, since Jared is very hard of hearing. He wants the music to be blasting so that he can hear it, but then I can't hear him when he requests a different song, and he can't hear me answering his questions. 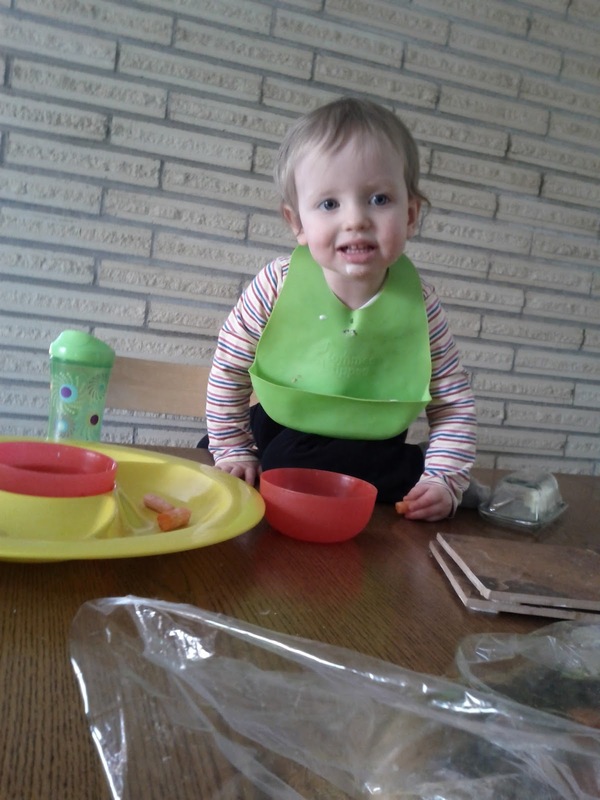 I thought for a couple of days that our inability to communicate was caused by selective listening, but on Sunday I tested his hearing by offering him a cookie. He actually didn't hear me. 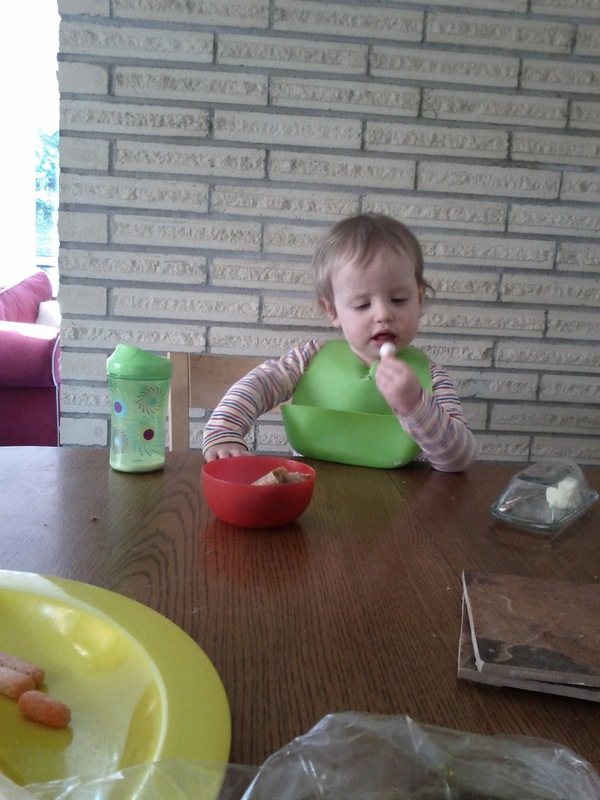 No three year old is just going to ignore an offered cookie. I took him to the doctor's office yesterday, and it took Dr. Belarmino about thirty seconds to determine the cause of Jared's deafness. 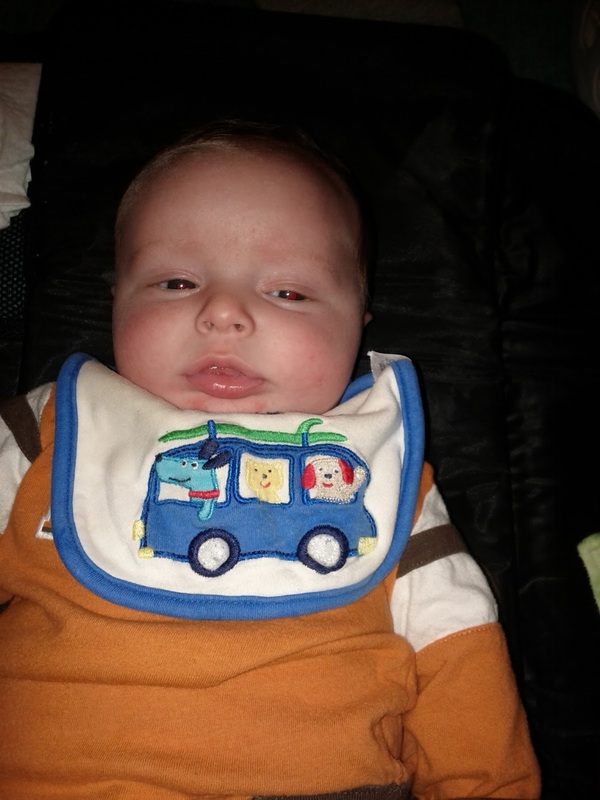 He has fluid behind his ears, and may be hard of hearing for up to eight weeks. 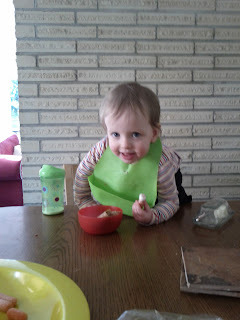 When I put lunch on the table today, Eloise dodged around the high chair and parked herself on a normal sized seat. 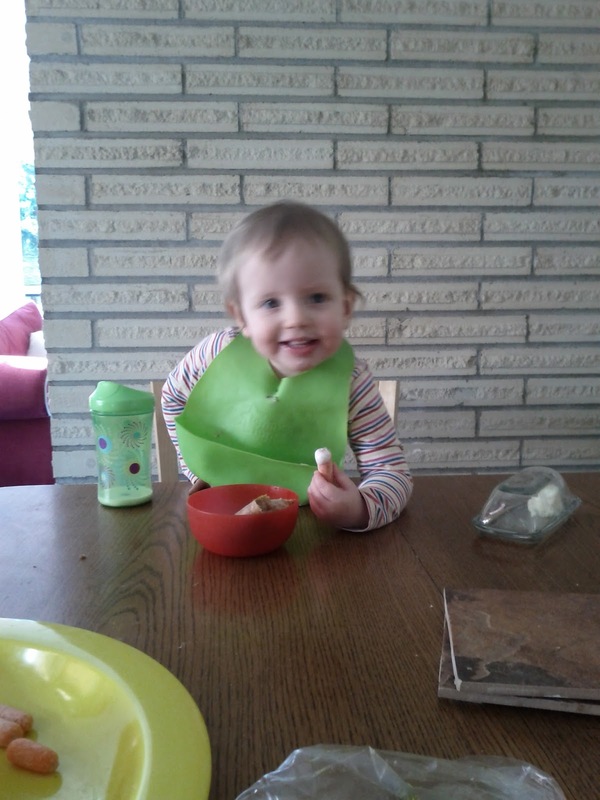 I guess she is having trouble remembering that she is still a baby, too. Normally she is ambivalent about where she sits, but today she was adamant that she should sit in a regular chair. 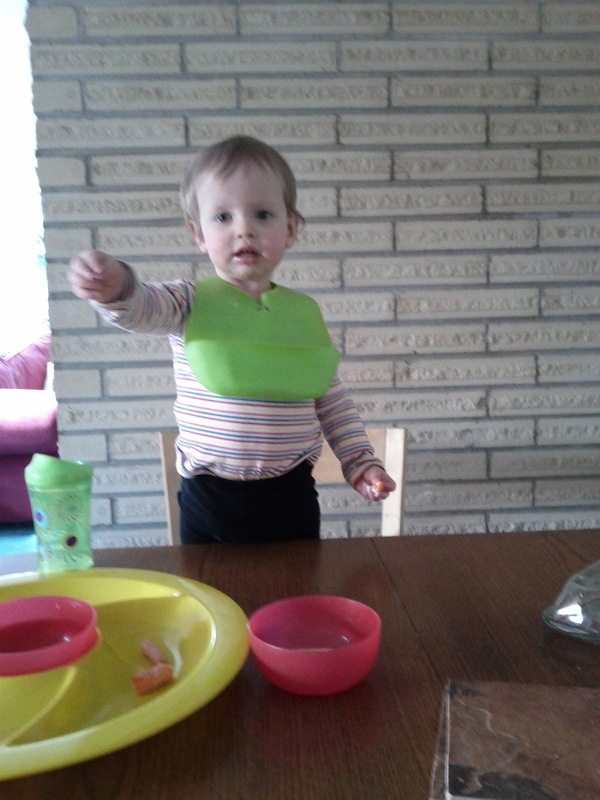 This was fine with me, since getting Eloise out of the high chair while nursing Benjamin is kind of a hassle. Here's how it went. She started out pretty responsible. Then she got kind of silly. She really wanted to double dip that carrot, but couldn't quite reach that dip. 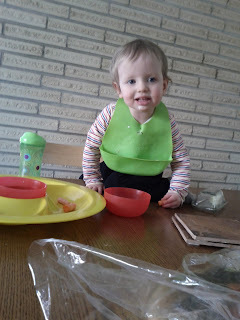 . .
Climbed on the table to pull the dip closer. . .
Triumphantly showed me the tomato (she calls them "potatoes"-- how sweet is that little confusion?) that she got from the veggie tray. And that, ladies and gentlemen, is why we use a high chair. To keep our babies off the table. While we were at the store today, Jared found a little travel pillow that had become separated from its display. He brought it to me and asked, "Why is this a little tiny nursing pillow?" I explained the real purpose of the travel pillow, so, of course, when we got home, he had to try it out with our nursing pillow. 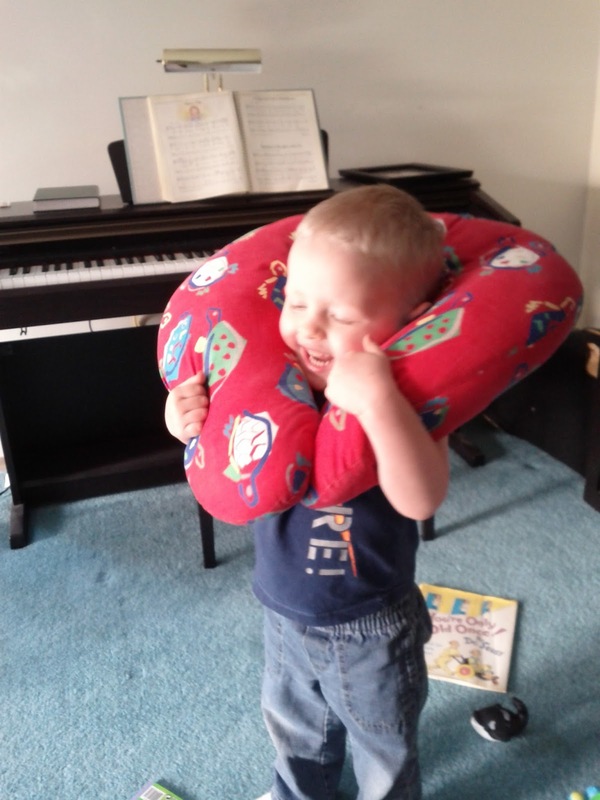 This pillow might be a little bit too big to take on a plane. Jared also believes that tweezers are tongs for little tiny salads. I love this boy's perspective on the world. This is winter? Where is the rain? It has only been raining at night or in the early morning this week, so we have had lots of chances to go outside. Jared and Eloise are much happier when they get some outside time every day, so one day we went puddle stomping. 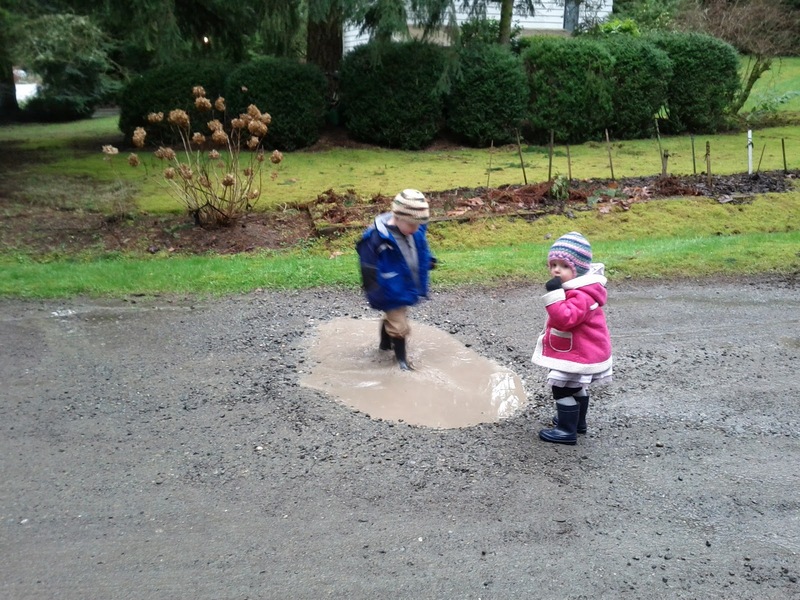 Eloise usually just likes to throw rocks in the puddles. Jared was wet up to his waist when we went home. He couldn't figure out how his socks could have gotten wet with his boots on. 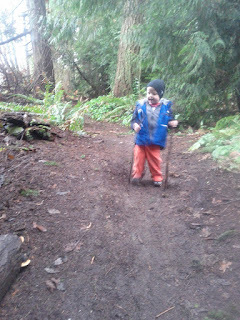 Since puddles make kids awfully wet, the rest of the afternoons this week we just went for nature walks. On Wednesday, Jared saw an old lady power walking through the woods with her walking sticks, so he now considers walking sticks to be essential to his hikes. Jared tears through the woods in search of walking sticks, logs to jump off of, "tree grass" (moss), and very muddy spots to "fall down" in. Eloise likes to do everything Jared does, just not quite so fast, or from quite so high, and as long as she doesn't get too dirty. 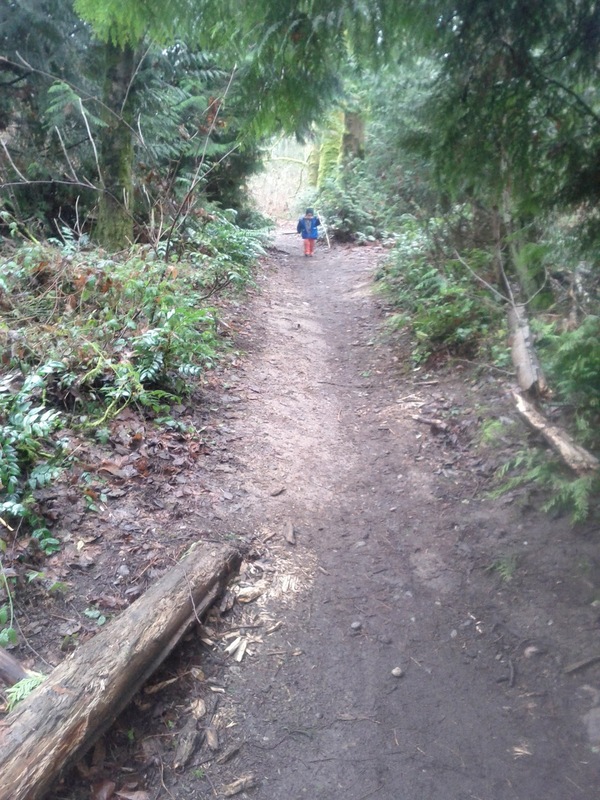 On Thursday we walked all of the way to St. Edward State Park playground (1.6 miles). Eloise rode in the stroller for most of the trip, but Jared walked every step with his two sticks in hand, and a backpack full of snacks, water, and (as I discovered later) a large collection of toy blocks. I'm impressed that he would hike that far without complaining. 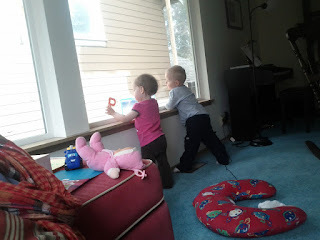 Unfortunately, we can't be playing outside all of the time. Someone has to get these stories read! The workers on the house next door would probably not know how to go on without their small audience. The house got painted yesterday. 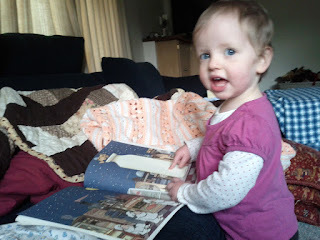 Eloise thought the painter, in his white jump suit, looked like a snowman. "Dat yook yike a noman!" Jared got very excited about Valentine's day. 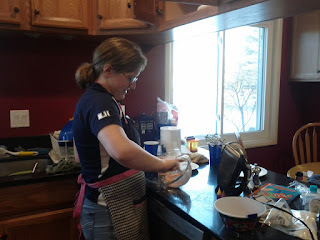 We had planned to have some neighbor kids come over to decorate Valentine cookies with us, but Eloise still has a runny nose, and an occasional cough that she picked up on our road trip, so we have been staying away from other children. Instead, Jared and Eloise wrote letters to some of their cousins. 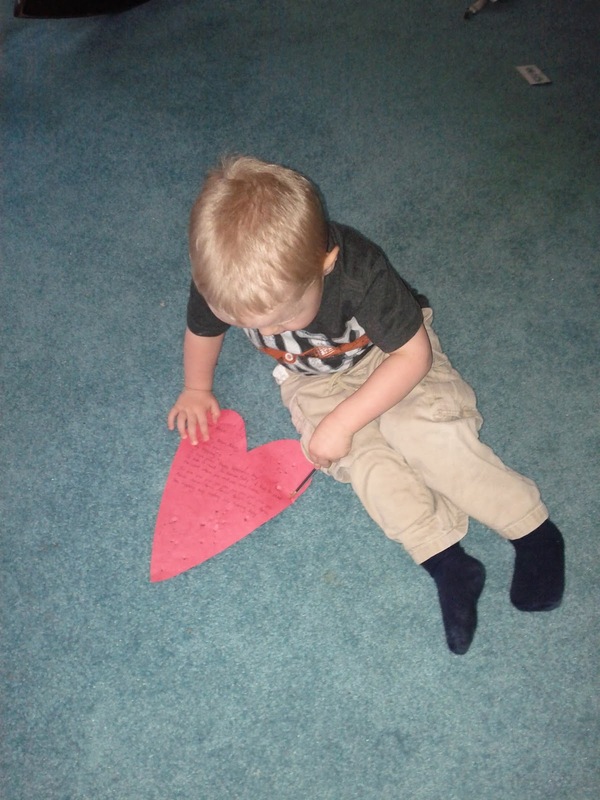 Jared declared that he was showing love to people because it was Valentine's day. 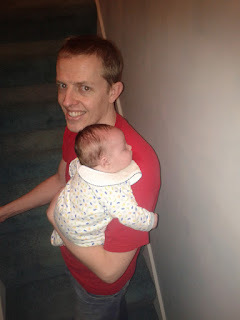 Here are my cute and cuddly valentines. I'm the luckiest girl alive. I shouldn't have said anything about it not raining. As I was writing this, a torrential downpour started outside. We may be looking for some creative indoor activities next week. 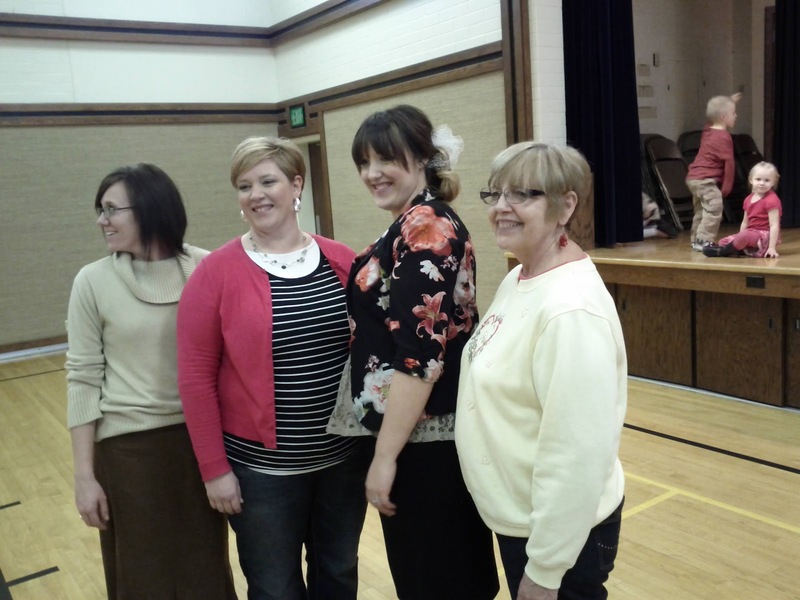 About two weeks ago, we decided to make a quick midwinter road trip to Idaho and Utah to celebrate Todd's cousin, Megan, getting sealed to her husband, Jon, in the Idaho Falls temple, and to be in Logan to celebrate our niece, Maren's, first birthday. 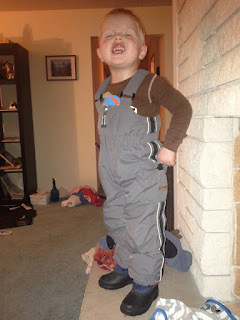 In preparation for the trip, I picked up some snow gear for the kids. Can you tell they were excited? The drive went pretty well. We broke the trip up over two days, with a stop in Boise. Our kids travel really well in the car. Here are some travel portraits. Okay, they didn't really sleep that much in the car. It was sort of magical for the few minutes that they were all asleep. Eloise, in particular, had a very hard time getting enough sleep on the trip. This was not her best trip ever. The kids had been really excited to stay in a hotel. We promised them a hotel with a swimming pool, and kept our expectations low for anyone getting any sleep when we are all in one room. We actually got pretty good sleep in our hotels. 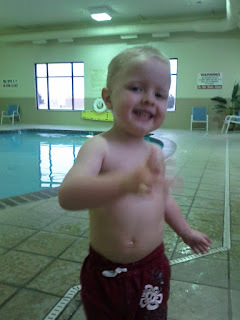 Jared was wildly excited to swim and swim and swim. Eloise saw the swimming pool and FLIPPED OUT. She was NOT going anywhere near that water. I got her in a pool once, at our first stop, but she clung to me and sobbed for the whole experience. Eloise has been extra emotional since Benjamin was born, and introducing all of the new unfamiliar elements of our trip was not exactly helpful for getting her back to normal. Idaho Falls was cold, snow covered, and beautiful. We were busy socializing with family who we see once a year, at most, so we were negligent with the picture taking. Here is Reah, Megan, Becky, and Ashley, before Marilyn got into the sisters picture. Benjamin got passed around from cousin to great aunt to great aunt. He was as sweet and docile as ever. After the luncheon, it was back into the car for a three hour drive down to Logan. It was great to see our family in Logan. Unfortunately, Maren was sick with a fever and a runny nose for most of our visit. Anni and Ryan were sick, too, so the party plans were scrapped in favor of a quiet, stay at home weekend. 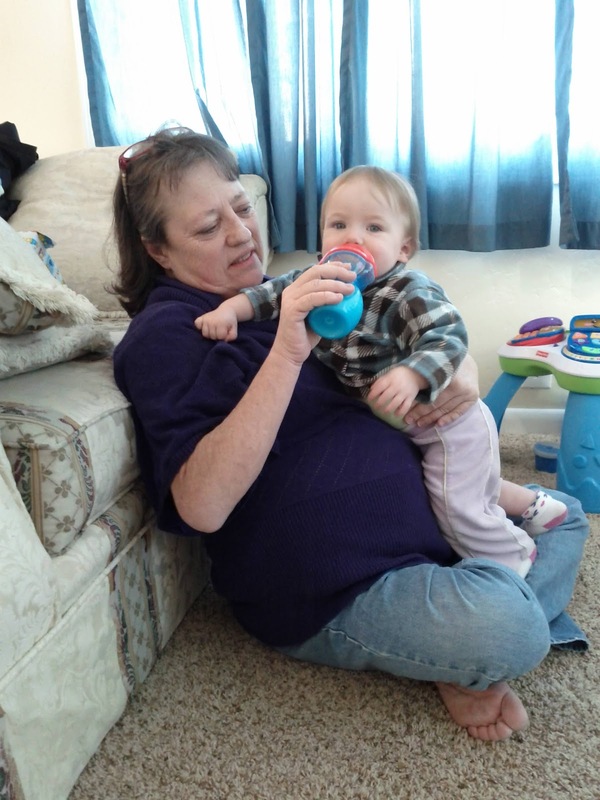 Grandma Jill is staying with Anni for a few months. It was great to see her. Eloise was terrified of Maren, who is more mobile than she was was in October, even if she isn't walking yet. Benjamin was as happy as ever. It's hard to get him down. 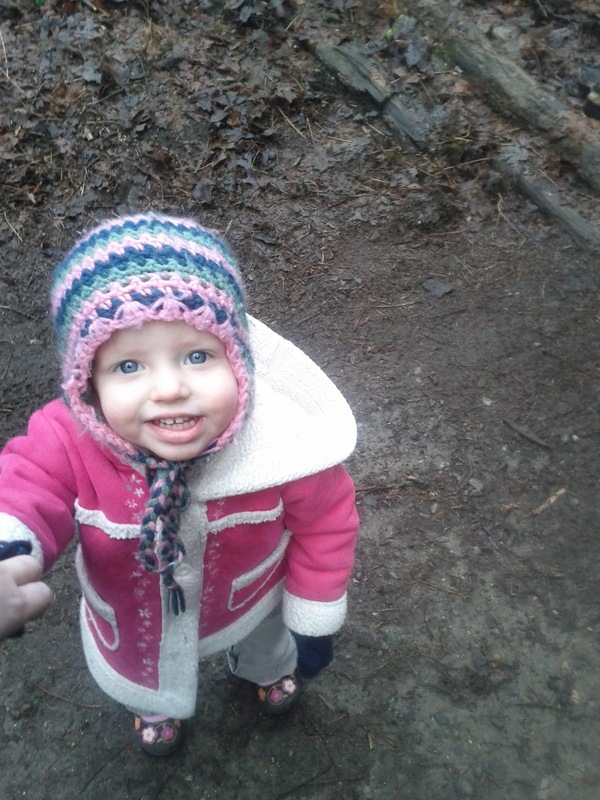 Eloise did have her happy moments. She enjoyed getting her hair done by Daddy. 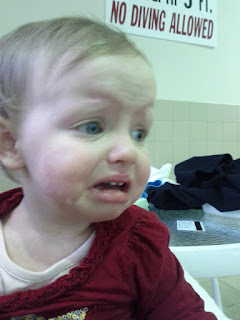 She did not enjoy nursery. Eloise was really excited for nursery, until she arrived, and her regular teacher, Sister Cameron, wasn't there. She ended up going home early for a nap. 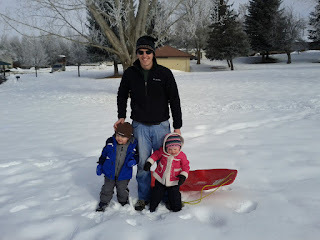 On Monday morning, we took the kids out with a borrowed sled for a little snow adventure. It started off great. Snow is fun, right kids? 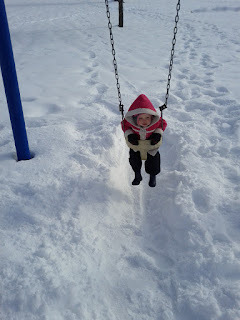 Eloise was excited to be at a park, even if it was covered in snow. This happiness lasted for about a minute. I think you can see here that she was starting to break down. 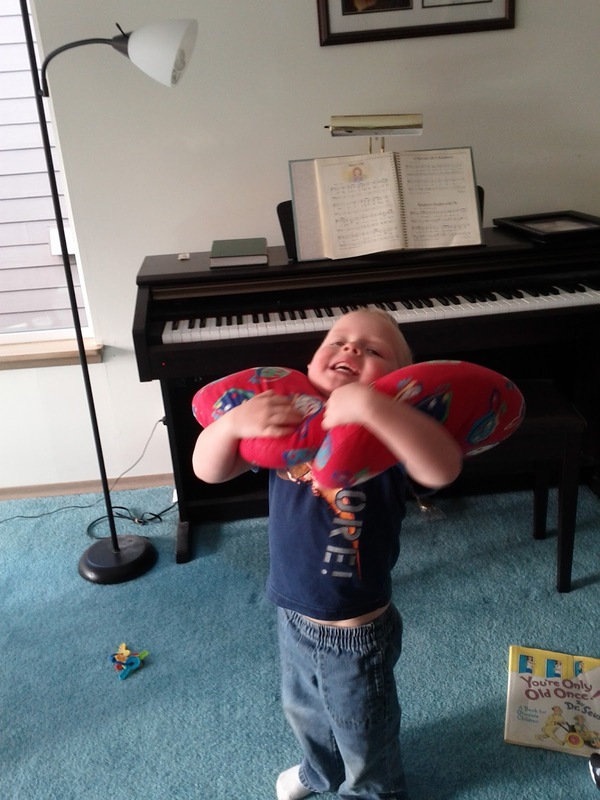 Before long this turned into a full fledged tantrum. I was struggling to get her back to the car, so Todd came to help me, and Jared saw him turning away from the sledding hill and had his own breakdown. In spite of all of their previous excitement, our snow outing ended with us throwing everything into the car and fleeing. We might try again with some more local snow in a week or two. 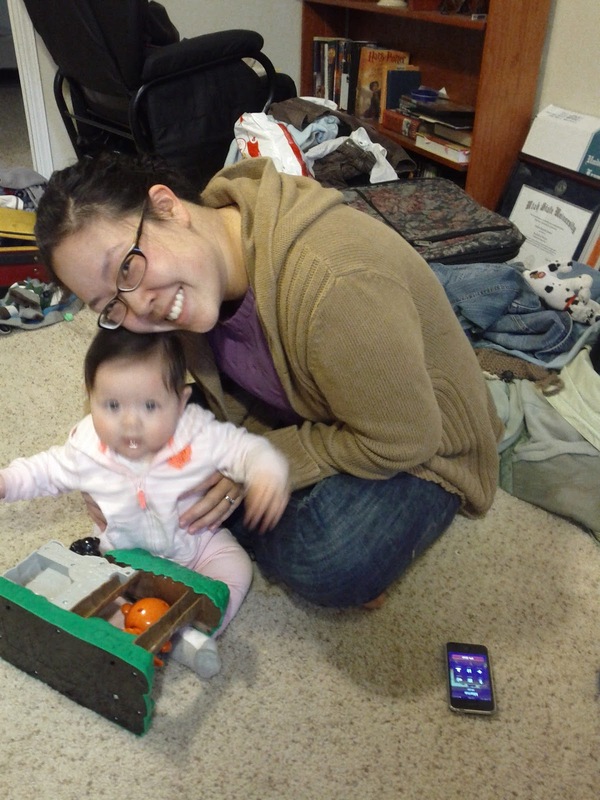 We enjoyed a visit from my friend Yeon Mi and her adorable baby Brooklyn. My kids had been really geared up for a party, so Anni pulled together a little birthday cake. . .
. . . with a little help from Jared. 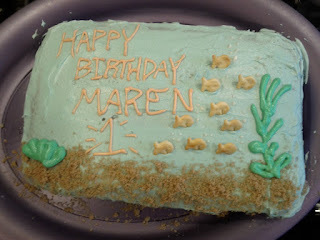 The cake was inspired by Maren's love of Nemo. She started out pulling off bits of brown sugar, but in the end, she dug right in. We only had to ask Jared to get his fingers out of the frosting once. The trip was awesome. 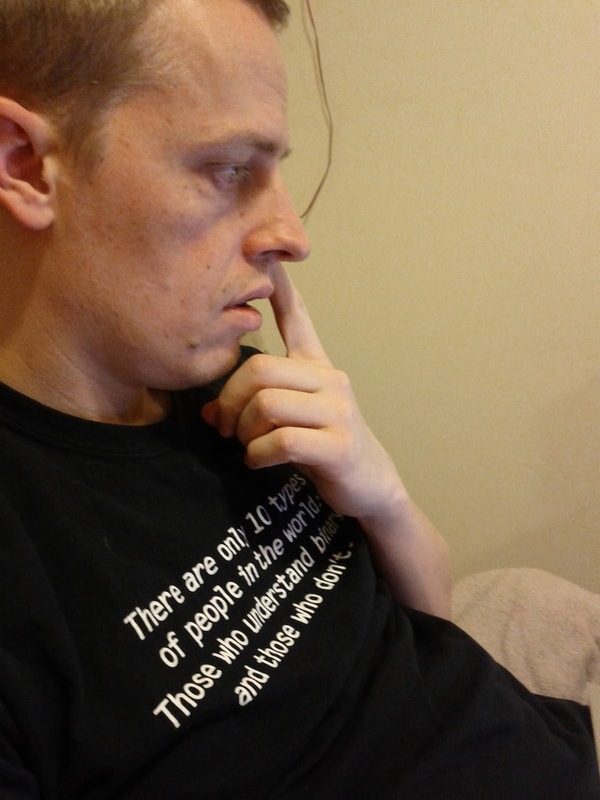 How could it not be, with this guy? 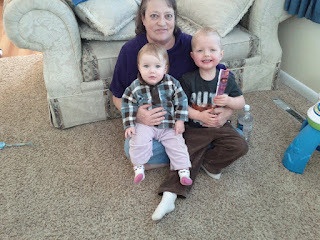 We had a good time, but we are happy to be home, fighting off the disease we picked up in Logan, and getting back to normal.